But it won’t dig out your parked car. Plowing snow, mowing the lawn, raking leaves. It’s backbreaking work. This season, a robot may have you covered. It’s called Kobi, and for $3,999 it can take over people’s yard work. Kobi is capable of mowing the lawn, raking leaves or plowing snow, all by changing the attachments to the robot’s front. 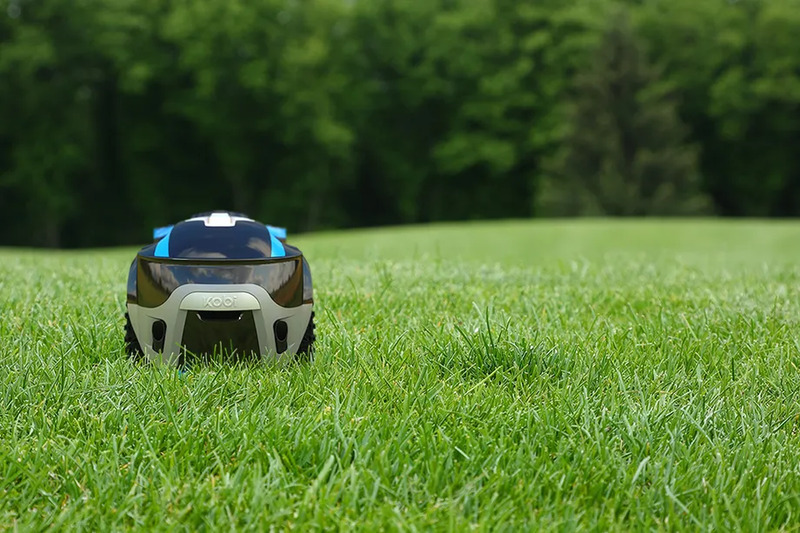 The yard-bot is autonomous — but before it starts its first drive, the owner has to manually guide Kobi around so the machine can learn its parameters. To make sure it doesn’t drive out of bounds (and into traffic), and does spot trees, benches or other barriers, Kobi makes use of two beacons placed in the yard to help it navigate. It’s also outfitted with cameras and sensors to help it avoid colliding with people, pets or cars. Roboticists and home hobbyists have been working to build machines to tend to their yard work for years, constructing DIY rovers of all sizes with bladed shovels, headlights and treaded tires. None of these bespoke designs were autonomous like Kobi, though; they all required remote control. Still, until Kobi is tested by early adopters, an autonomous robot with grass-cutting blades sounds a little dangerous.